[Coral Gables, FL] — This May, Chabad of Downtown Coral Gables will offer With All My Heart, a new six-session course by the acclaimed Rohr Jewish Learning Institute (JLI) that will examine the Jewish art of prayer and spiritual experience. Beginning Wednesday, May 15, 7:30 pm, participants in the course will study the history and philosophy of Jewish worship, seeking to discover the deep, elegant structure embedded within the Jewish prayer book and within Judaism’s ancient synagogue traditions. 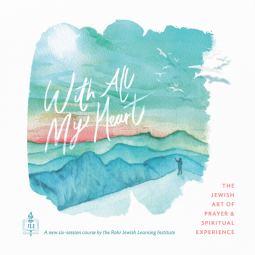 With All My Heart explores questions such as: What is Jewish prayer? 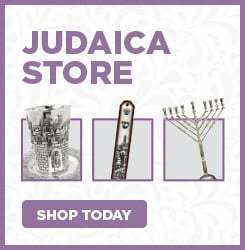 How do we achieve intimacy with G‑d? What is the mystical meaning, power, and impact of our prayers? If prayer is a journey, what is its destination? And how do we practice focused mindfulness while engaging in our day-to-day responsibilities? Interested students may call 305-490-7572 or visit www.ChabadGables.com/JLI for registration and for other course-related information. JLI courses are presented in Coral Gables in conjunction with Chabad of Downtown Coral Gables. 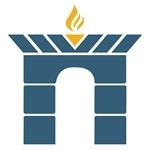 JLI, the adult education branch of Chabad-Lubavitch, offers programs in more than 800 locations in the U.S. and in numerous other countries, including Argentina, Australia, Belarus, Belgium, Brazil, Canada, Colombia, Denmark, Estonia, Finland, France, Georgia, Germany, Greece, Guatemala, India, Israel, Italy, Japan, Kazakhstan, the Netherlands, Panama, Russia, South Africa, Sweden, Switzerland, Turkey, Ukraine, the United Kingdom, Uruguay, and Venezuela. More than 400,000 students have attended JLI classes since the organization was founded in 1998.